"The whole point is to level the playing field"
A couple years ago, George Hoover began cutting down his work hours and planning for retirement. He'd spent his life working in different corners of the arts and entertainment industry: as a lighting designer for stage productions in Florida after college; as a co-producer for jazz concerts on public television in New Jersey; as the technology officer at the Pittsburgh-based NEP Group, which provides technical and production support for broadcasts like the Olympics and Oscars. But after decades in the industry and three Emmys to his name, Hoover was ready for his second act and he had an idea. 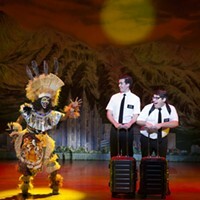 He loved theater and wanted to create a centralized location online for listings, reviews, and news focused entirely on stage productions in Pittsburgh. That particular project fizzled out, but it wasn't long before his idea led him to some likeminded locals developing a similar site called Pittsburgh in the Round, a volunteer-based online magazine focused on all-things theater in Pittsburgh. Now approaching its fifth birthday, Pittsburgh in the Round boasts more than a dozen writers, two interns, a marketing director, and editor-in-chief. Hoover is its senior writer, assistant editor, and one of the most frequent contributors on the site. Like Hoover, many of the writers at Pittsburgh in the Round have worked in the industry for years. 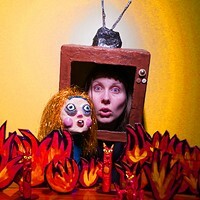 Founder Mara Nadolski has a BFA in theater tech and design from West Virginia University and, when not running PITR, works in different capacities in productions around the city, including as assistant director for last year's Stupid F*cking Bird at 12 Peers Theater. Among the staff are creative writing majors, actors, newspaper journalists, PR professionals, and other theater professionals. What unites them seems to be a simple passion for the theater happening here, regardless of prestige and prominence. 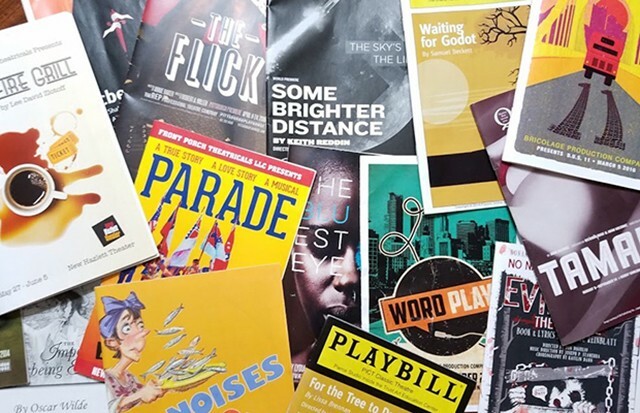 Visitors to PITR this month will see a review of Pittsburgh Classic Players' staging of Twelfth Night, a preview of Lin-Manuel Miranda's In The Heights at Pittsburgh Musical Theater, a posting for a local collaboration opportunity, and a review of Theatre Factory's Nuncrackers. That diversity in company size, venue, and style is important to Nadolski. "The whole point is to level the playing field," says Nadolski. Whether the company is big or small, the production experimental or traditional, every production gets the same treatment. That approach tends to bolster the status of the smaller productions and make the bigger ones more accessible. 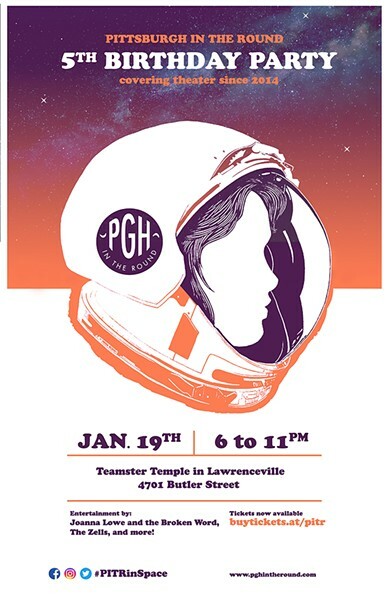 On Jan. 19, Nadolski and her staff of volunteers will celebrate the site's fifth birthday with an open party at the Teamster Temple in Lawrenceville, featuring music from Joanna Lowe and the Broken Word, The Zells, as well as food and drinks. It provides an opportunity for Nadolski to thank her fans, supporters, and writers — there are some contributors she has only met in person once — and to look ahead at what the next five years may bring. At the top of the list for Nadolski, who pays for site management and events like this out-of-pocket, is compensating her writers. She's cautiously optimistic for the future. Nadolski says that above all else, the people in this theater scene are resilient. "Pittsburgh always manages to find a way," says Nadolski.